Rosie is 36″ x 24″ x 1.5″ and full of so much character, color, and whimsy in person!! Brighten up your day and make your guests smile and laugh! The sides of the canvas are painted as an extension of the image, so she doesn’t require framing. The gold color around the roses is gold paint, so it’s reflective and magical. 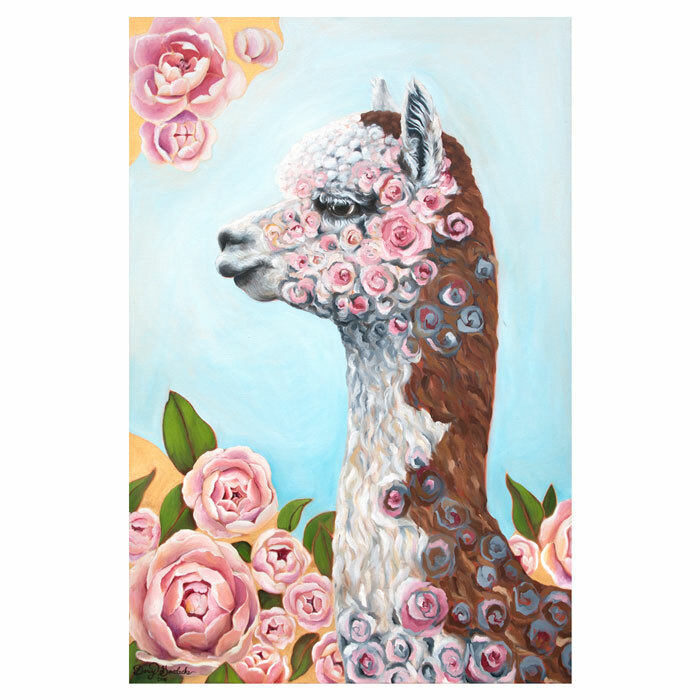 She is made with eco-friendly oil paints on a wrapped canvas and varnished with an archival sealant. Please let me know if you have any questions or would like to bring her home! If you contact me with your address I can get you an estimate on shipping.